Well this is new to me. While shopping at Hong Kong Supermarket on Hester and Elizabeth, I found Kenko a Japanese mayo brand that was a dollar cheaper than my first love Kewpie mayo. It’s the cute naked baby vs a child chef. 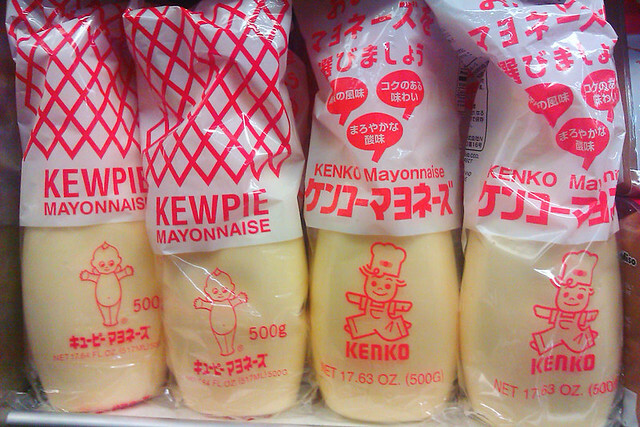 I have always just thought that there was only one Japanese mayo and that was Kewpie. Kewpie = Japanese mayo. Now I don’t know what to do. The internet said that Kenko taste just like Kewpie but I don’t want to betray the naked baby but Kenko WAS a dollar less.